What Happens When You Get a DWI in Another State? A colleague recently posed an excellent question on a national attorney listserv I participate in, and it’s one I’ve fielded for many clients as well. Below is my response. If a Virginia license holder gets a DUI in another state, Virginia DMV is EXCELLENT at getting record of that and promptly suspending the Virginia license. I think it’s the one thing they do without fail exactly like they’re supposed to. The notice of suspension that the VA license holder receives will say that they were suspended effective as of the date of the DWI conviction. However, Virginia case law says that a suspension is not truly effective until the driver receives notice that he is in fact suspended. Thus, if you get a DWI in another state, you’re safe to continue driving on your VA license in any state other than the convicting state until you receive notice of the suspension. The big caveat to that is you can’t dodge the notification. If you don’t give the correct address to DMV or simply refuse delivery of the notification, a judge would probably convict you of driving on a suspended license anyway. But if notice hadn’t even been sent out yet, you’d be safe. The corollary has been true in my cases as well. 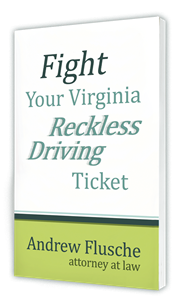 If an out of state driver gets a VA DWI conviction, they’re suspended immediately in VA. I counsel clients that they should check with their home state’s DMV to make sure their license is still valid. [VIDEO] Can you skip VASAP?